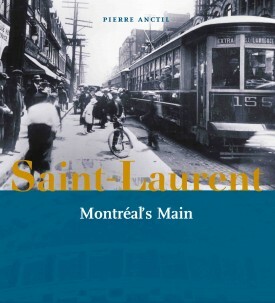 The incomparable “Main” or Saint-Laurent Boulevard crosses the heart of Montreal from north to south. It has been a gateway for immigrants and the place where “solitudes” have met. 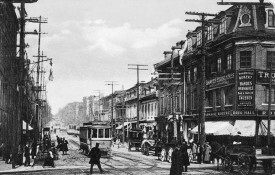 Many social and cultural movements were born on the Main and continue to thrive and influence, Montreal, Quebec, Canada, and beyond. One of the best-known striptease artists on the Lower Main, Lili St. Cyr, was born Maria Van Shaak in 1918, in Minneapolis, Minnesota. Her career began in California, in San Francisco to be exact, when a nightclub hired her first of all as a dancer and later to disrobe in front of an audience. Elegant, racy and with great stage presence, Lili St. Cyr met with phenomenal success in her own country and toured the major U.S. centres. In 1944 she came to Montréal, where she played until 1951, an indication of the city’s stellar reputation in those times.She often resorted to subterfuges as she removed her clothing bit by bit—in this case a fake parrot!—to avoid breaking municipal morality codes.